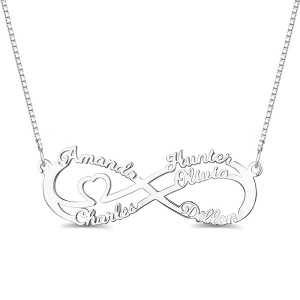 This Heart Infinity Necklace 5 Names Sterling Silver is the perfect accoutrement to any outfit, day or night, business or casual. 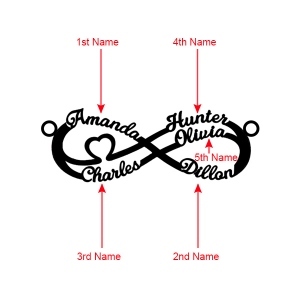 Symbol of a eternal promise, with no boundaries. 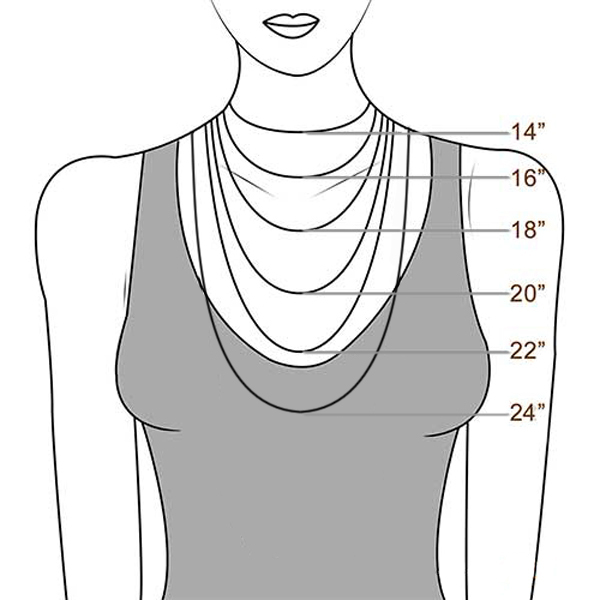 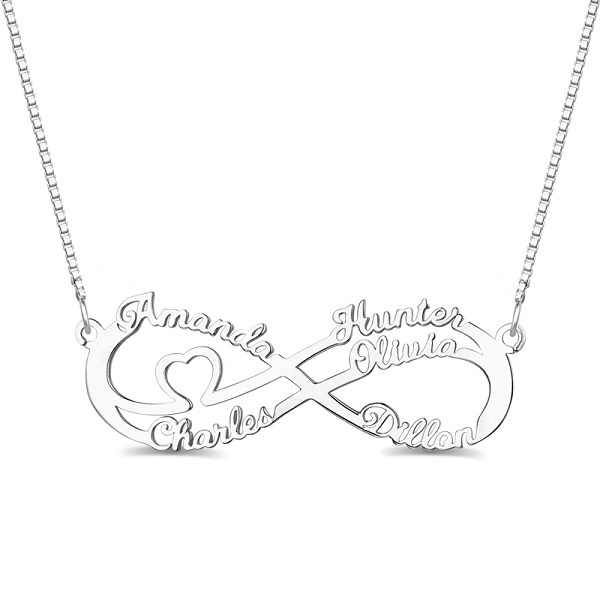 So, if you are looking for a personal and stylish piece of jewelry or a special gift, this necklace could be the ideal item to buy. 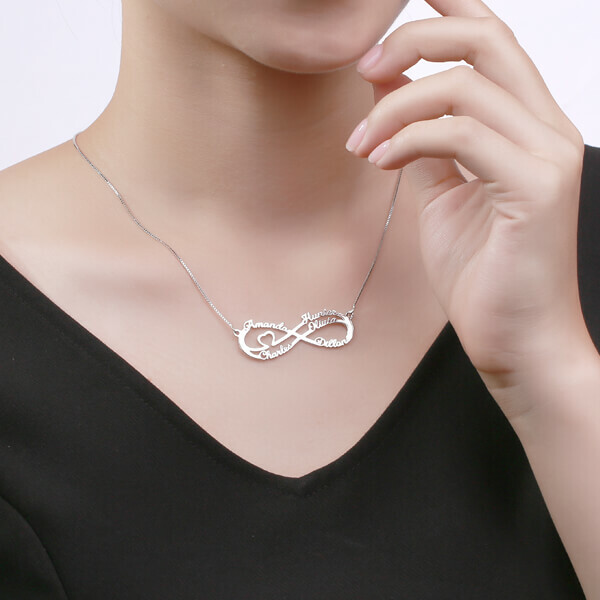 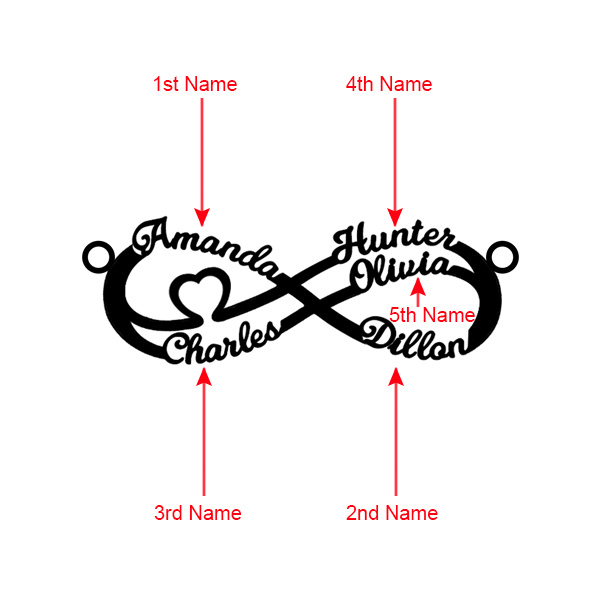 This infinity jewelry support adding 5 names on it, it can be initials to mean the eternal love, or best friend's initial with forever friendship meaning.